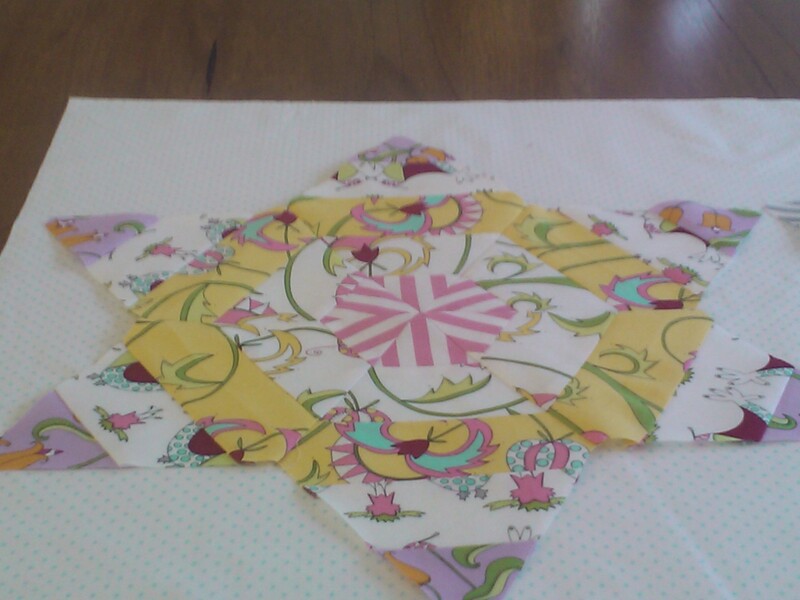 This is my work in progress – a little star using From Little Things fabric designed by Sarah Feilke. The Stars in your Eyes pattern is also available in Sarah’s book ” From Little Things” . I am delighted to say that I nominated completing this quilt in the 2013 Quarter 2 Finish Along at She Can Quilt. It feels great to have the quilt top completed. Following are some pics of the progress. Sorry about the quality of the photos………some days I get it right. I just love this little Bird ……..its so cute. 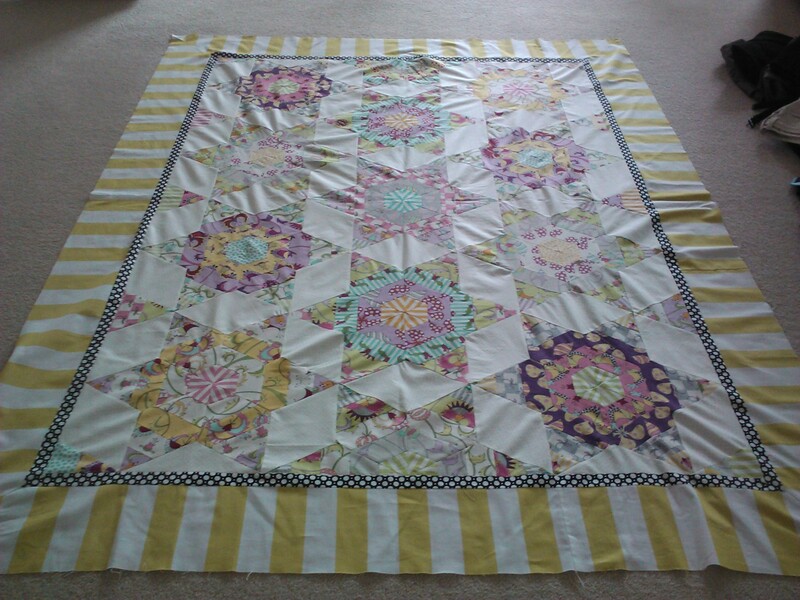 Having managed to conquer inset piecing with the stars and a few seam rips I felt good about the top. The next challenge was the borders. I wanted to make sure that I didn’t detract from the stars as some where light in colour value. I chose my old favorite – black and white spots. It never fails and it made the stars ‘dance’. 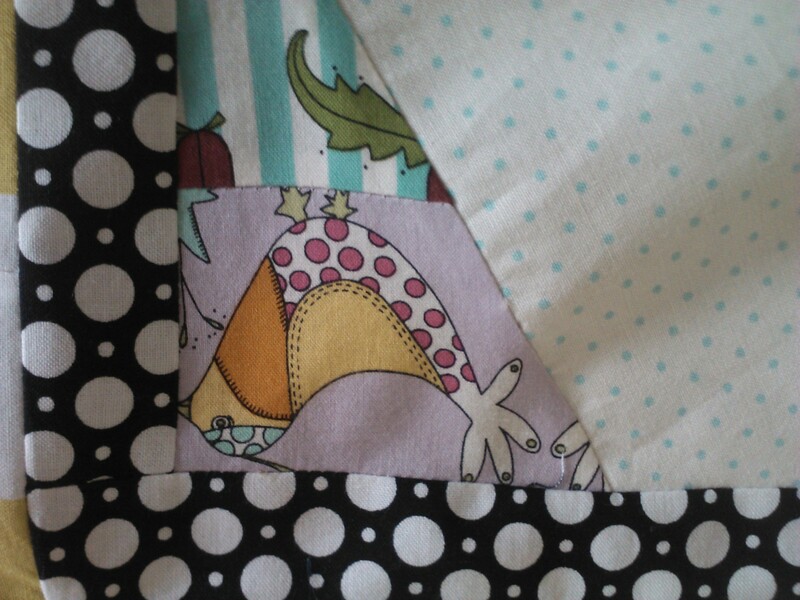 The black and white polka dot inner border was complimented with a wide strip citrus yellow. It went together very well and I am delighted with the top. 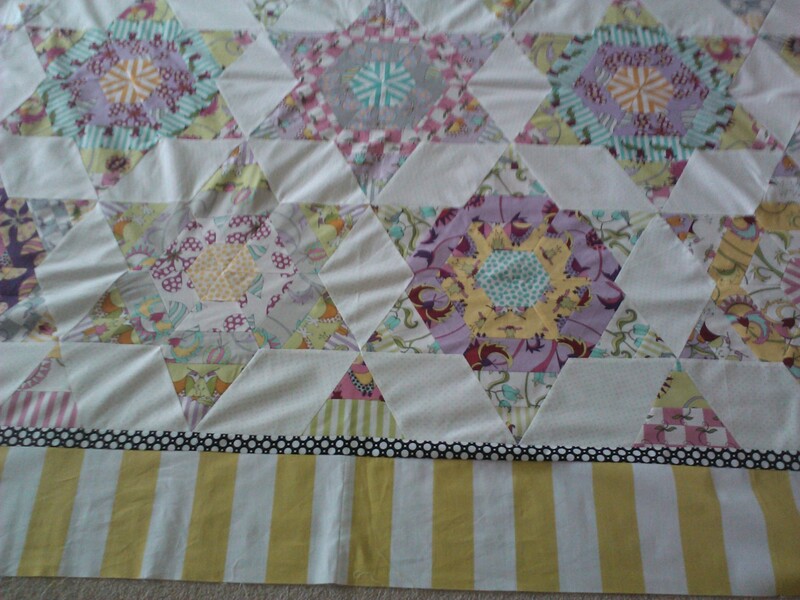 Finally a completed picture of the quilt top hooray!!! Whilst not the best picture; you can see that the top is finished. Have a fabulous day……………Happy Sewing.